City Creek, Red Butte, Emigration, Parley’s, Mill, Big Cottonwood, Little Cottonwood. Without a doubt, these seven canyons host the most popular hikes in all of Utah—at least in the sense that these trails are the most well-traveled by local Utahans. 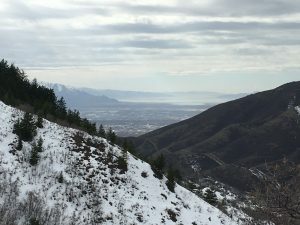 That’s because—from North Salt Lake down to Draper and over to Herriman—“that’s where all the people live.” More on this front, what makes these trails so special is that the people, policies, and infrastructure of the Wasatch Front allow some of these canyons to provide much of Salt Lake City’s drinking water as well as some of the best metro-area hiking—and climbing for that matter!—in the whole country. 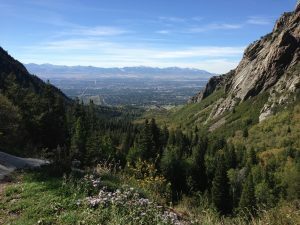 The view from Emigration Canyon in late spring. The view from Neff’s Canyon in late spring. 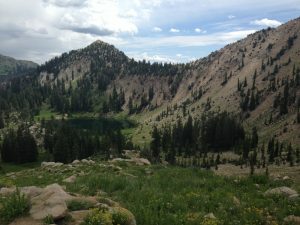 Willow Heights and Lake Trail in Big Cottonwood Canyon. The view of Catherine Lake and Sunset Peak from Catherine’s Pass in Little Cottonwood Canyon. 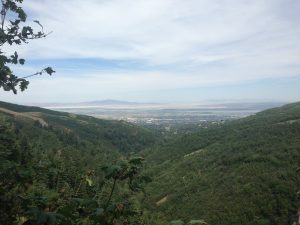 The view from Bell’s Canyon at the southern end of Salt Lake’s Canyon Trails. The future feasibility of this multi-purpose land- and water-use depends on a range of factors some of which are under our control and some of which aren’t. 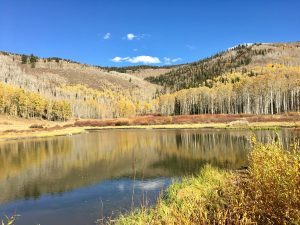 To learn more about one of today’s key organizations seeking to protect, restore, and replenish the land, check out the Seven Canyons Trust. That said, the future of these canyons and hiking trails is not a binary outcome of good and bad, and we can look to our recent past for lessons. Much of the timber resources in these mountains were depleted during the initial development of the Valley only to be replenished throughout the 20th century with an effective reforesting initiative.